Though the loss of Jessica Lange for the upcoming fifth season of American Horror Story still weighs heavy on fans' fanatic little hearts, AHS fans can rejoice at knowing that handsome series regular Evan Peters will star in American Horror Story: Hotel . With Sarah Paulson's return also confirmed two weeks ago, this makes Peters one of only a handful of actors who have appeared in all five seasons. And since American Horror Story can sometimes be a very repetitive show, I have some predictions for what we can expect for Evan Peter's storyline! All of Peters' characters have exhibited severe anger management issues, whether as a major part of their arc or simply as an attribute that comes out during times of stress. Whether it's Season 1's Tate Langdon committing a violent act of domestic terrorism or Season 3's Frankenstein frat guy accidentally killing everything in his path, Peters knows how to play the twisted duality of rage and regret. Expect to see him whip those chops out again. Oh, Evan Peters. Something about your boyish good looks and heart-on-your-sleeve vulnerability make you the perfect actor to romantically pair with emotionally disturbed damsels in distress, and boy, doesn't Ryan Murphy know it! Outside of Lobster Boy's brief emotional attachment to Emma Roberts's character in Season 4, all of Peter's onscreen lovers have fallen into some category of troubled. Granted, the show doesn't have a lot of untroubled characters, but how many times can we watch Peters fall in love with an angsty Taissa Farmiga? My guess is at least once more, and you can probably expect that, or something similar, in Hotel. We haven't really seen this from Peters before, but hear me out! With each passing season, the show has pushed the sexual envelope progressively further. 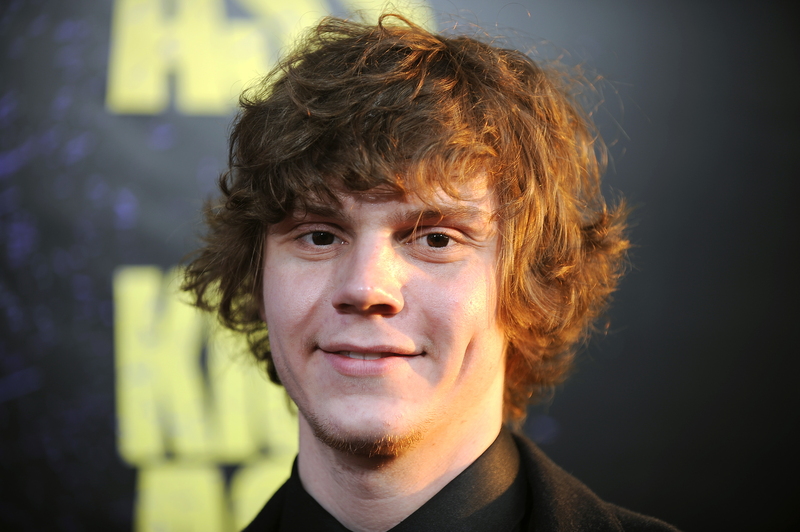 At the same time, Evan Peters has gotten progressively hotter. What started as the cute boy-next-door turned into the hot guy with lobster hands who could host your tupperware party any time. Mark my words: this has not gone unnoticed by Ryan Murphy, and I guarantee this season we'll see more Evan Peters booty than we ever thought decent for basic cable television. Ryan Murphy loves writing parts that showcase his actors' wide array of talents. So far we've seen Peters master playing a brain-dead zombie, a Massachusetts mechanic from the '60s with a Boston accent, and a disabled circus performer. Season 5's character is likely to be a severed head with the amazing ability to speak, or something. This one's a gimme: In Season 1, Tate hated his mother; Season 3, Kyle also hated his mother (although for more understandable reasons than Tate...); Season 4, Lobster Boy started by hating his father, then turned on his mother, then decided he hated both of them. I predict in Season 5, he'll start out hating his mother, then decide he hates his father, then realize through the power of personal choice that he's been the metaphorical parent of his own destiny the whole time and decide he hates himself. ...along with Sarah Paulson, because OF COURSE THEY DO. If his character is killed off somehow, there's no way he'll die as some well-intentioned supporting character like Chloe Sevigny in Season 2 (or ALL of the freaks in Season 4); he's too valuable a player in the American Horror Story actors' circle. No, he'll go out in a blaze of evil glory as the (probably surprise) villain of the season. Plus, Peters hasn't played a character with a truly depraved morality since Season 1, so it's about time.